"Summer is here! Which means the High Point Arts Council’s annual Arts Splash summer concert series is about to be in full motion. Help celebrate the kick off of this year’s Arts Splash on Sun., July 10, from 6-7:30 p.m. at the Mendenhall Transportation Terminal in High Point with The Legacy Motown Revue. Arts Splash concerts are free to the public, and attendees are encouraged to bring lawn chairs and a picnic. 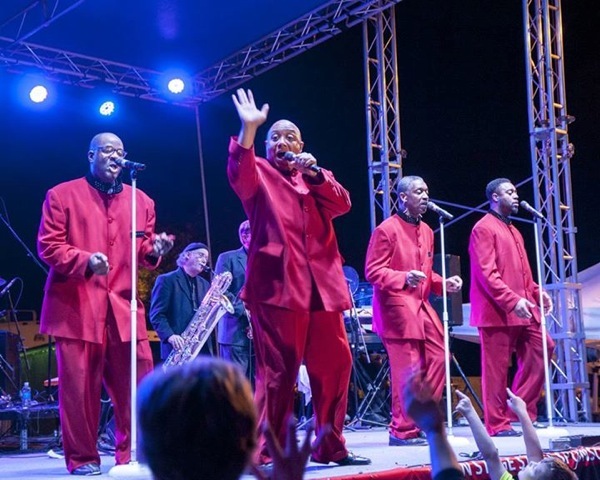 To start on a high note for this year’s anticipated Arts Splash lineup, The Legacy Motown Revue will be performing some of the legendary music that helped shape music for many generations of listeners. The Legacy Motown Revue, which is headed by Stan Stigall, takes listeners on a journey back to the days of The Drifters, The Coasters, The Jacksons, Earth Wind & Fire, The Temptations, and many more legendary groups that had a heavy influence on the music of today. In addition to paying tribute to music that always deserves to be remembered, The Legacy Motown Revue takes their performances to the next level with their horn section and synchronizing dances and vocals. The Mendenhall Transportation Terminal is located right in the heart of downtown High Point at 220 E. Commerce Avenue. If there is a threat of rain, call 336-889-ARTS after 4:00 p.m. on Sunday to get the latest update on the event. For more information about this year’s Arts Splash concert series you may contact Clint Bowman at 336-889-2787 ext. 26 or at programs@highpointarts.org."